A CAR is a big investment and caring for it makes logical sense . . . but finding the right car “doctor” can be a challenge. 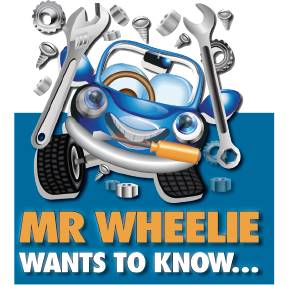 Dewald Ranft, chairman of the Motor Industry Workshop Association, a constituent association of the Retail Motor Industry Organisation, offers these five tips to help you search for a top-notch mechanic. Repair workshops should have any memberships or accreditations they have on display. We would highly recommend looking for the logos of the associations mentioned. To be a member of these organisations, workshops need to adhere to strict criteria which are checked regularly. Your mechanic belonging to the organisations also gives you recourse if you aren’t entirely satisfied with the service. You can escalate your grievance to MIWA and/or the RMI both of which will assist you through a dispute resolution process. When choosing accommodation, it’s common to refer to a star rating to make a decision about where to go on holiday. So why not do the same when looking for a place to service your car? A Motor Industry Workshop Association graded workshop meets specific accreditation requirements. Does the workshop look professional, tidy and organised? Does it look like the staff have the correct tools and equipment to do their work? Ask questions and look around. Speak to the workshop owner about training levels of mechanics and any specialisations they may have. For example, some mechanics specialise in one particular brand or model of vehicle. A top workshop will have efficient systems in place to assist customers. Getting a quote should be a quick process. Communication should also be good, whether directly with the owner or another employee.If you are finding the process tedious, look elsewhere. There are many workshops around the country that are highly professional in their customer service approach. “The cheapest repair price is not always the best option. Building a level of trust with is also important. If in doubt, get references from other customers,” said Ranft.